Switch up your ‘do with the Joico Structure Stylemaker Dry Re-Shaping Spray; a fast-drying and reworkable styling spray that allows you to shape and reshape your style throughout the day. Lightweight and non-sticky, the formula also offers thermal protection up to 230 °C so you can blow-dry, straighten and curl without damaging or weakening locks. 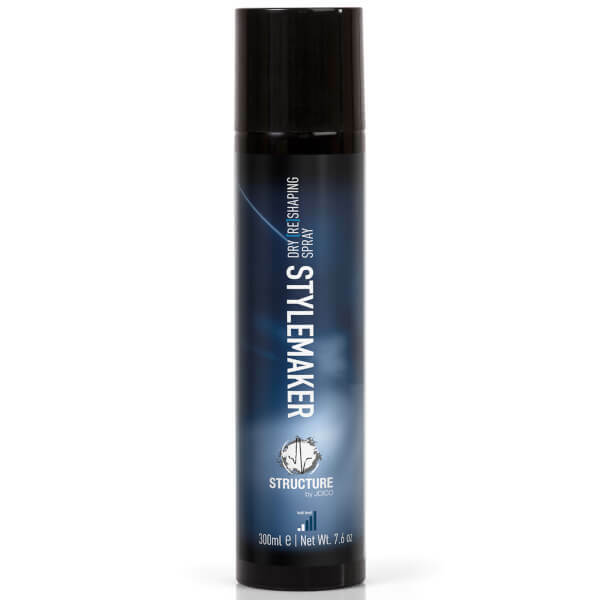 Ideal for all hair types and lengths, the Stylemaker ensures your look stays put with its buildable hold and leaves locks manageable and shiny. Suitable for all hair types and lengths. As a working spray: apply on dry hair from a 20-30cm distance. Start with a small amount on fine hair. Layer to increase hold. As a finishing spray: apply all over dry hair for instant hold and control.